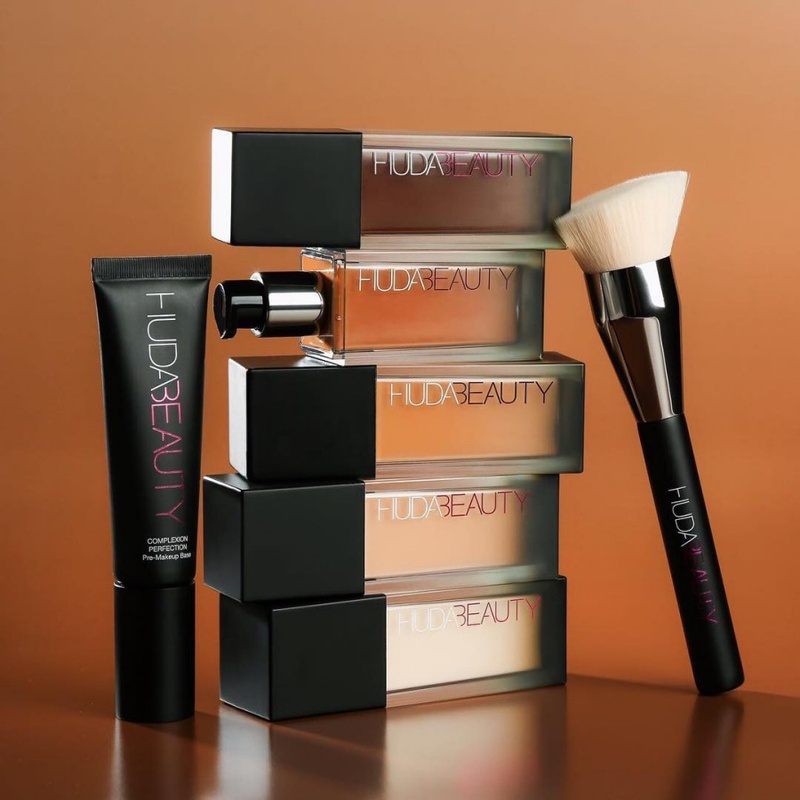 Now Available: Huda Beauty #FauxFilter Foundation, The Complexion Perfection Primer and Buff Blend Brush | Top Beauty Blog in the Philippines covering Makeup Reviews, Swatches, Skincare and More! A velvety-smooth liquid foundation, that delivers full coverage and an airbrushed finish for a second skin look, a hydrating makeup base that creates a smooth canvas while gripping makeup and moisturizing the skin and a high quality synthetic makeup brush specifically designed to allow you to achieve the most seamless airbrushed complexion with ease – all available now! #FauxFilter Foundation is packed with ultra-refined pigments that visually diminish the appearance of blemishes, conceal hyperpigmentation, smooth skin, and blur imperfections. The formula blends seamlessly with skin, using as little as one pump. The #FauxFilter Foundation range includes the perfect color for every skin tone and ethnicity. Founder Huda Kattan devoted two years to developing a broad color spectrum, ranging from fair to beige to olive to rich shades—and everything in between. The silky-smooth formula of the Complexion Perfection works to visibly blur the appearance of pores and fine lines. It also smooths the skin for a fresher, longer-lasting, and more flawless makeup look. This pre-makeup base harnesses the benefits of rosehip oil to create a creamy, penetrating primer that hydrates the skin. It can also be used as a lightweight moisturizer to leave skin soft and supple without feeling oily or greasy. The ultra-soft synthetic bristles are designed with a semi-slanted, flat top to cover the maximum surface area and fit into the natural curves and contours of the face. This brush’s densely-packed bristles are built with a combination of crimped and straight bristles to provide a controlled application and a faultless, airbrushed finish for your ideal level of foundation coverage. I'm all for a good airbrushes finish! This sounds like it would give great coverage on black spots and acne marks on face. Thanks for introducing me to this product. Sounds amazing , the foundation and primer sounds like something I will love. This sounds good! Not tried anything from Huda beauty yet! Really pretty! From the look of it these products are so worth it. I need that brush! 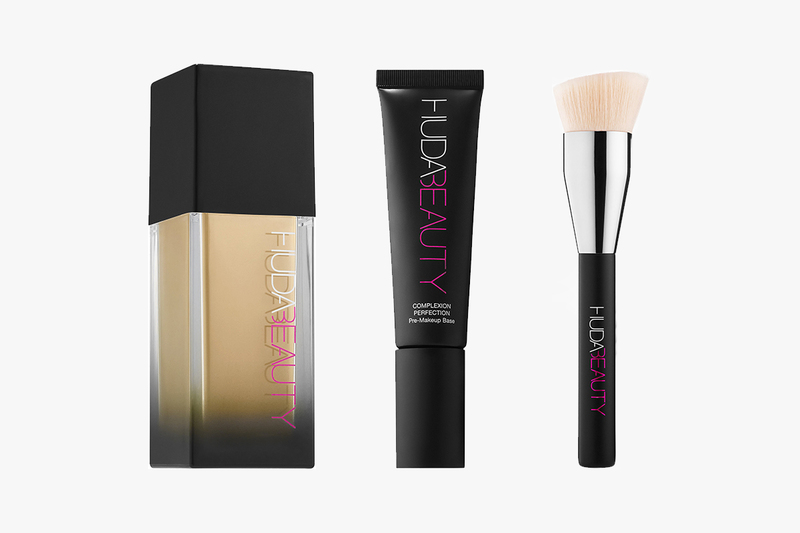 These products look great, I've heard Huda foundations are really good! Thank you for this great post and introducing these products! target coupons , anker promo code . I hope you continue to have high-quality articles like this to share with everyone! I really like the look of your site Delhi Escorts and its content. We wait for the latest from this site. Superb selection of colors! There’s definitely Escorts in Delhi too much to find out about this topic.